Acmena smithii Sublime is a Lilly Pilly variety that forms a thick and compact screen with luscious lime green foliage which glossens to mid green leaves with maturity. It produces white flowers in Summer, followed by edible deep mauve berries. 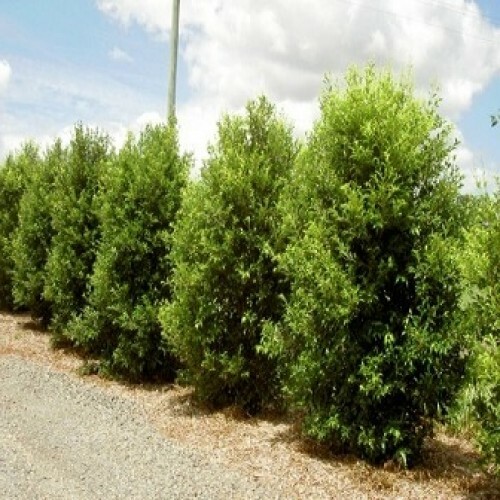 Pest & Disease Resistant - Pysllid Resistant and highly myrtle rust resistant. 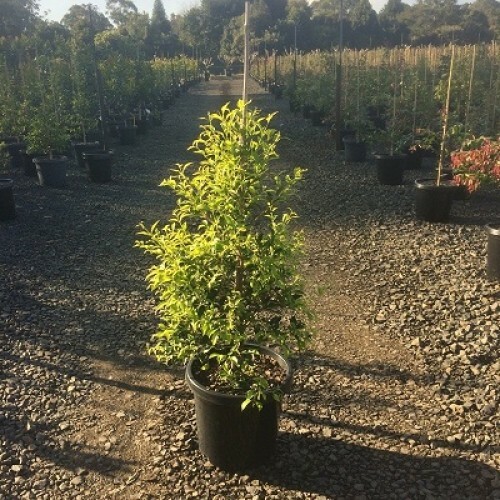 Perfect for: Hedging, screening, small tree, topiaries.